Events like conferences and live shows are becoming increasingly popular and many event companies and organizations are now deciding to tailor their online presence according to their needs as event organizers. This is where our premium WordPress themes for event companies shine and provide many useful features. You can choose one of our professionally designed WordPress themes ideal for companies in the event space, and develop the site without the need to hire developers or designers. All event related websites need advanced features in terms of design as well as functionality, and our themes cover all of the features that event management companies can wish for in a WordPress theme – our themes are the perfect choice for event management professionals. But even if you are not into any event related business, running a website that provides a full set of event promotional features, yet easy to use, can be difficult. You can run an event related site with our themes in few minutes and start promoting events with our event management WordPress themes. 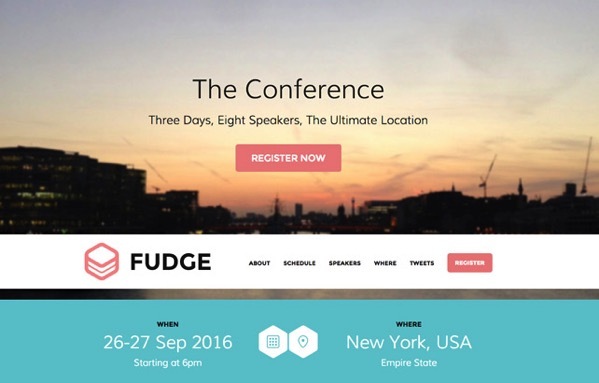 We also suggest to check out our Conference and Exhibitions WordPress themes if those may be more suitable for you. Our Event Management WordPress themes offer the perfect set of features for managing single or multiple events. 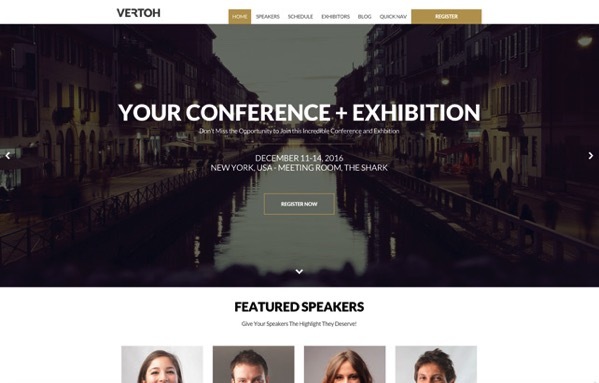 Vertoh is a great WordPress Event Theme for event management. Advanced features in a stunning design. Vertoh features 4 header options, WooCommerce integration, calendar scheduling to easily manage your event. 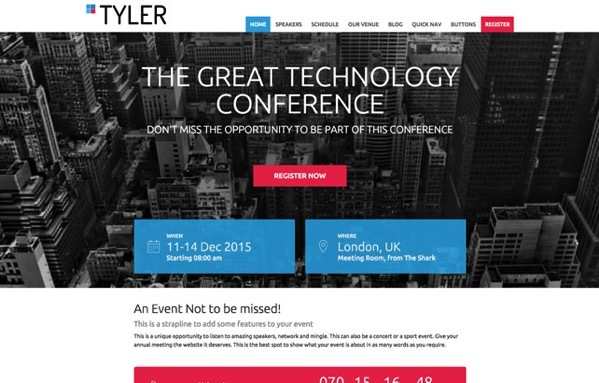 Tyler is a powerful event management WordPress theme that offers all the features you need to run events of all sizes. With a dedicated speaker profiles and detailed event management pages, Eventbrite and EventEspresso integration, it’s perfect for medium to large conferences.